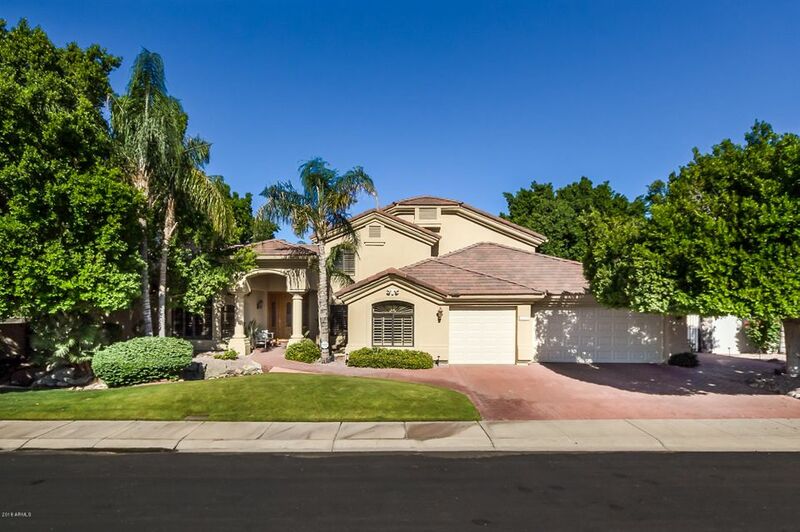 All Glendale homes currently listed for sale in Glendale as of 04/21/2019 are shown below. You can change the search criteria at any time by pressing the 'Change Search' button below. "Must see!!! One of the last opportunities to own 2 plus acres in the exclusive arrowhead manor estates. 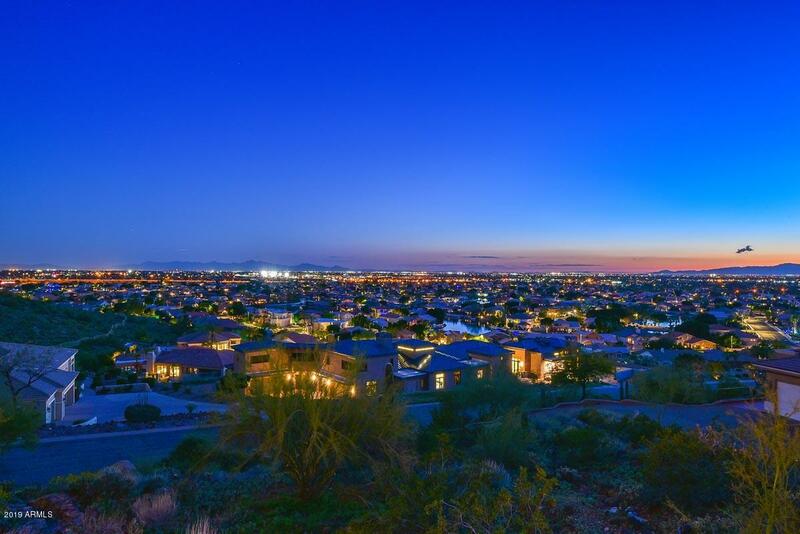 This single story 6500 square foot home boasts some of the best views in the entire valley, and must be seen to believe. 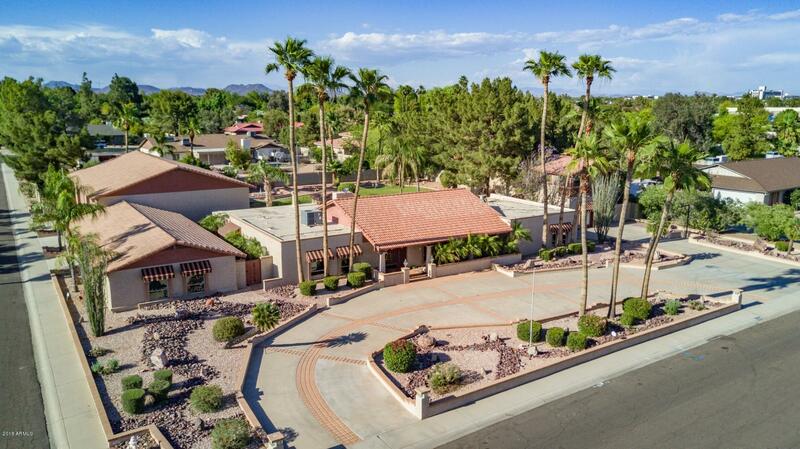 Offering a 4 car garage, 2 RV Bays, and a massive motor court, this is a car lover's dream. Schedule a showing soon, before this rare opportunity is gone." 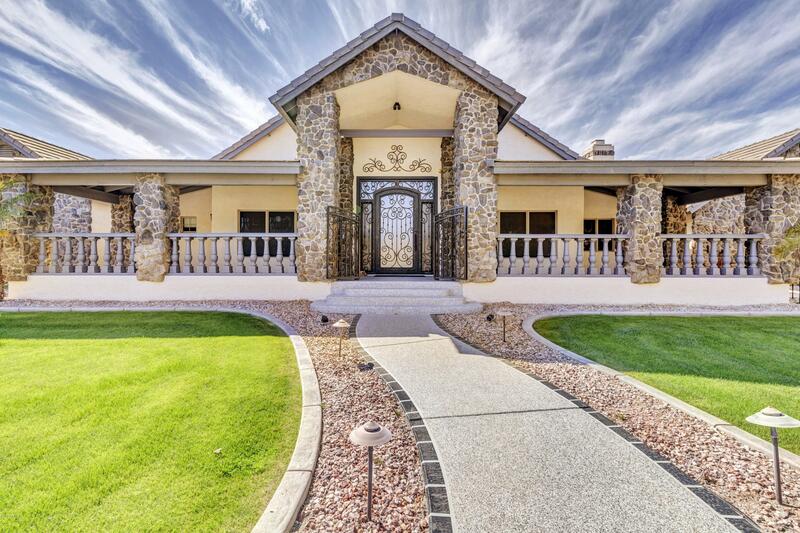 "Stunning custom home with Old World Charm located in the gated community of Tuscany Hills. With city and mountain views that stretch for miles you will love the feel of this gorgeous home. 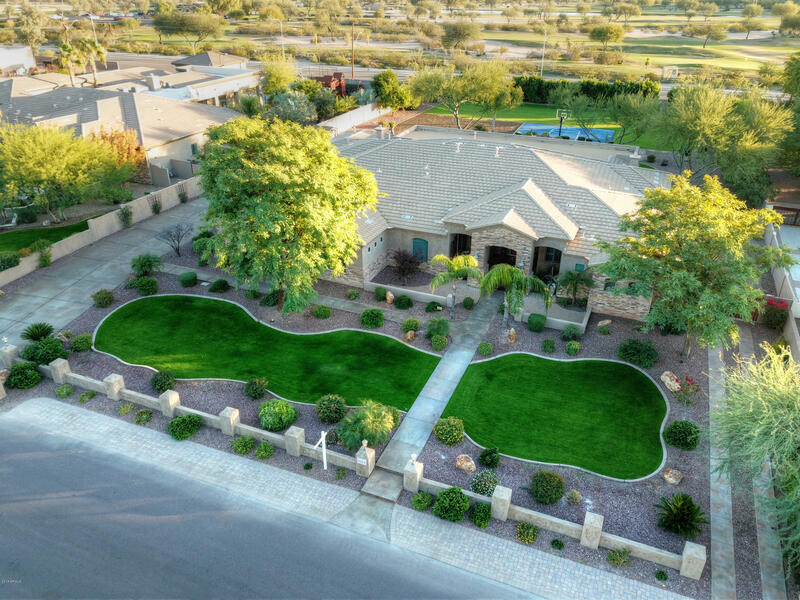 A private gate with a paved circular driveway and Port cochere will greet you as you approach this home. You will immediately notice the fine details including the arched doorways and windows, iron and stone work and lovely landscaping. 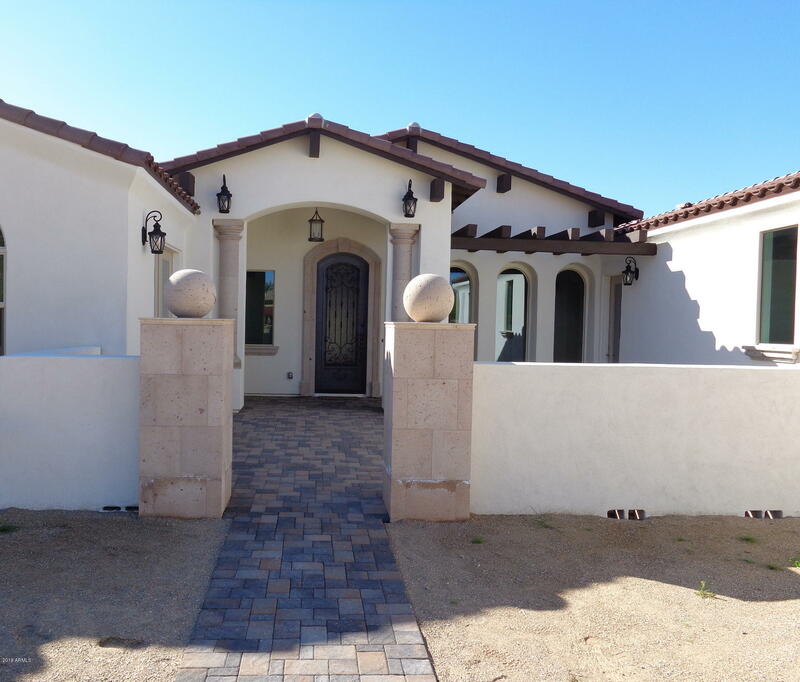 Enter through an impressive custom door and you'll find superb woodwork "
"Its safe to say that you will not find another home like this in all of Glendale. A stunning example of form meeting function and pure elegance is the result. 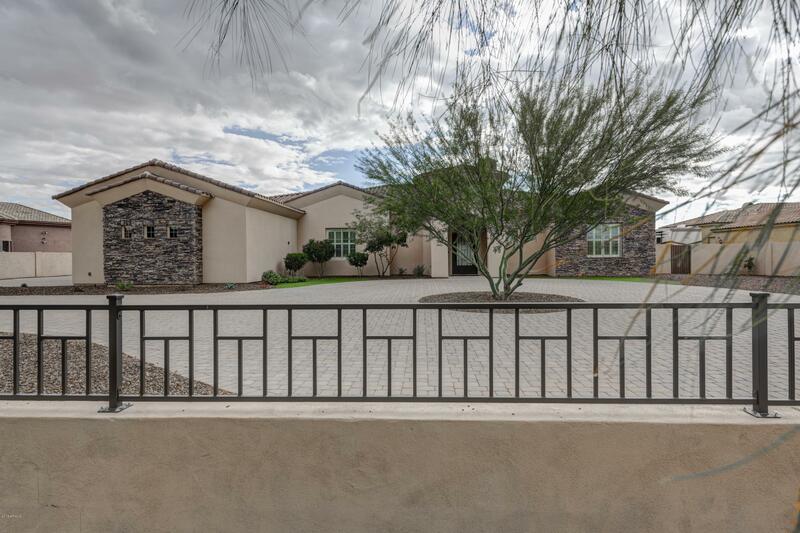 Graceful paved and brick driveway with beautiful desert landscaping will greet you when you pull up to this home. You'll notice that even the steps leading to the gorgeous custom front door and front patio are lighted in just the right places - an attention to detail that you will find throughout this amazing home. Step into the wide op"
"SADDLEBACK MEADOWS BEAUTY! 5251 SF, 5 BEDROOMS 4.5 BATH MAIN HOUSE WITH ATTACHED GUEST HOUSE THAT HAS A PRIVATE ENTRY FROM DRIVEWAY & REAR PATIO, PERFECT FOR HOME BUSINESS. ALSO, A DETACHED 1232 SF 1 BEDROOM GUEST HOUSE, BOTH WITH KITCHENETTE'S. GATED CIRCULAR DRIVEWAY & SIDE ENTRY GARAGE. UPGRADES IN 2018 INCLUDE PAINT, WOLF APPLIANCES, MARBLE BACK SPLASH, LIGHTING FIXTURES & REFINISHED CABINETS! UPSCALE FINISHES THROUGHOUT. LARGE GREAT ROOM WITH CURVED CEILING & STONE FIREPLACE. 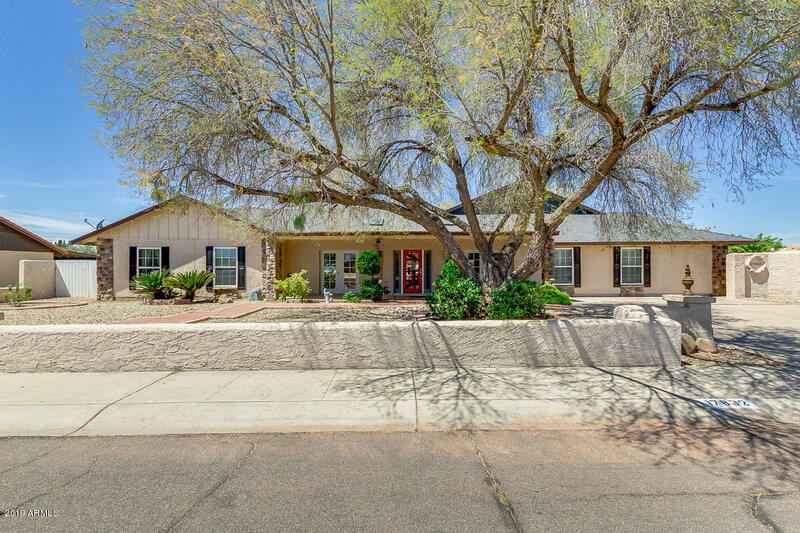 SPACIOUS OPEN "
"This is the home you have been waiting for...an open floor plan with chef's kitchen, 5 ensuite bedrooms and a backyard ideal for AZ living! The kitchen features designer cabinetry, quartz countertops, Viking 6 burner cook top, built-in fridge/freezer, double ovens, 2 dishwashers, walk-in pantry and huge island. The master suite includes a cozy sitting room with two-way fireplace, newly updated master bath with gorgeous finishes and a closet that you have to see to believe! 3 ensuite bedrooms are"
"Great curb appeal welcomes you into this custom home with mountain views. 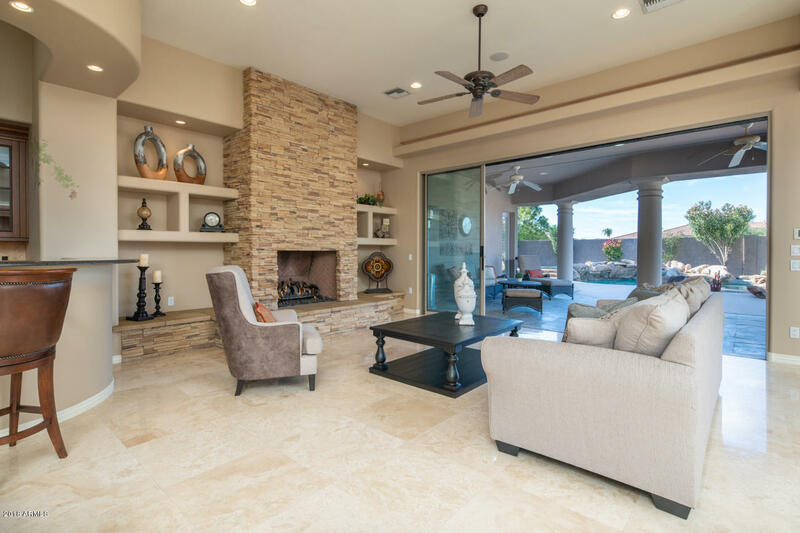 As you enter the home you will see the amazing architecture designed ceilings throughout, stone and wood flooring, rounded windows to showcase the mountain views, custom hand painted touches give warmth and a custom designed finish. The chef's kitchen features Viking appliances, beautiful alder cabinetry, granite counter tops,kitchen island and additional table top. The master bedroom retreat has a fireplace for cooler "
"Meticulously maintained, 4 bedroom 3.5 bath home on a 53,000 sqft lot with 6 car garage and unparalleled mountain views. Home was built with care & attention to make the most of this spectacular lot situated next to the preserve. Private gate with pavers take you to the Custom entry door. Beautiful wood flooring throughout the main level. Large great room with fireplace opens up to spacious gourmet chef's kitchen. Custom cabinetry, granite counters and extra large island. New Built in Sub Zero "
"Enjoy stunning views from this contemporary hillside home! 24 foot ceilings in the main living area provide panoramic views from every room! The open floorplan offers a perfect flow from the inside to the multiple view decks. The spacious master has its own cozy fireplace, walk out covered view deck, soaking tub and walk in shower w/ large cedar closet. The 3 guest rooms are split, and all have a private baths. The kitchen has updated Subzero appliances & island with bar. The formal dining are"
"CUSTOM HOME in private, GATED, 13-lot community of Auburne. APPRAISED AT $1.3 MILLION in 2013! This homesite is absolutely stunning located at the back of the cul-de-sac on a 1.13 acre lot with NO NEIGHBORS BEHIND! Home was bought last in 2012 and only the shell existed with minimal fixtures. Current owner has invested approx $750,000 into property. Outside you have a full-size, lighted $75k tennis court with basketball hoop. The outdoor living RAMADA space features a cabana with TV, BBQ with co"
"Welcome Home! This beautiful home has it all including an 11+ car garage, RV Garage (2400 sq.ft. 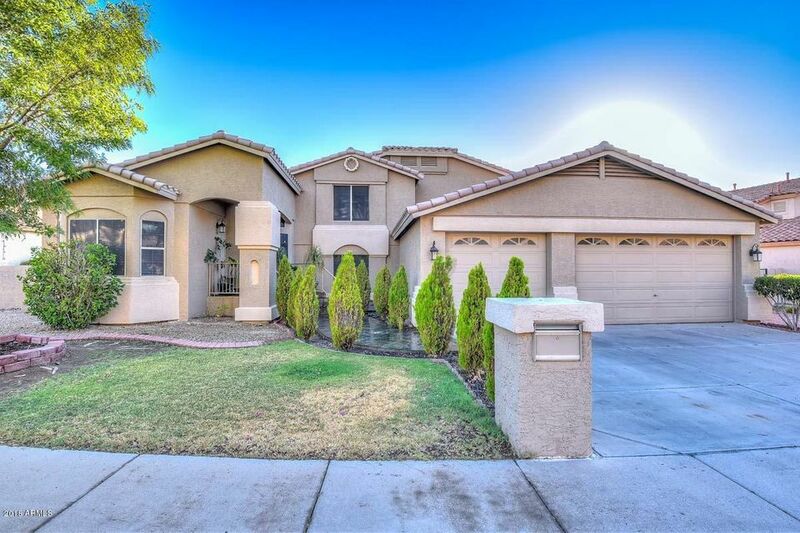 ), no HOA, cul-de-sac lot, incredible curb appeal and is centrally located. 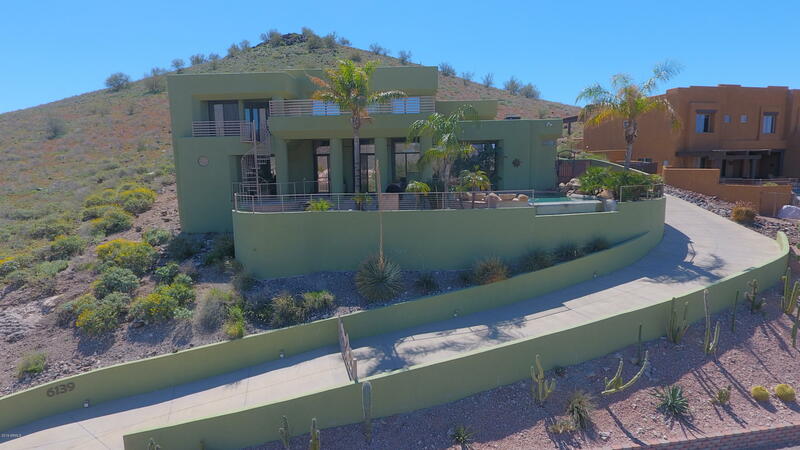 This 5 bedroom 4.5 bath has 3 fireplaces, exercise room (500 sqft, air conditioned), game room/yoga studio, backyard basketball court, small tennis court/sports court and a beautiful pool with a waterfall and a small Arizona room/BBQ area near the pool. Upgrades include hardwood floors, custom cabinetry, 3 fireplaces, and g"
"Resort style living at its finest. The curb appeal of this lakefront home is like nothing else in the sought-after Arrowhead Lakes community. You're met with the paved driveway and flowing river in the front of the home that ties together perfectly with incredible landscaping by design throughout. 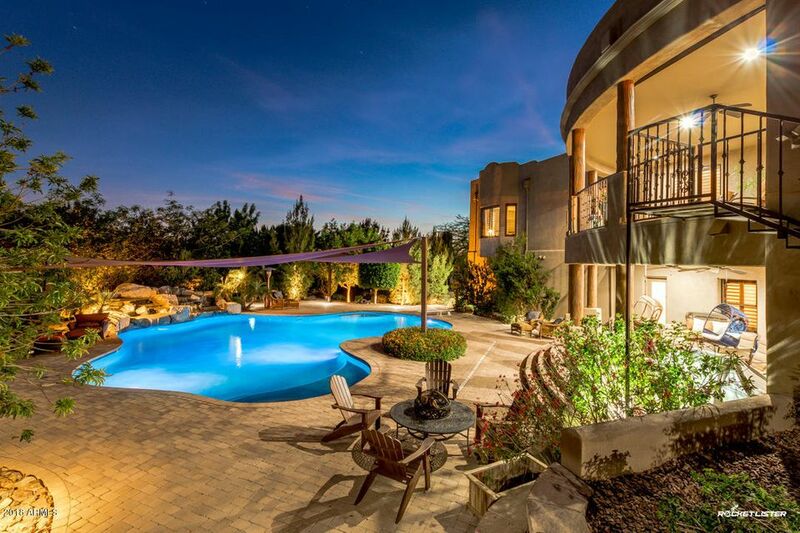 Boasting 5 bedrooms and 4.5 bathrooms, at 5,531 square feet this luxury home has it all. Start your wine collection now to fill this custom temperature controlled 700+ bottle wine cellar. Entertaining "
"REDUCED! THIS HOME SITS ON OVER AN ACRE OF LAND BACKING TO THE MOUNTAIN PRESERVE. 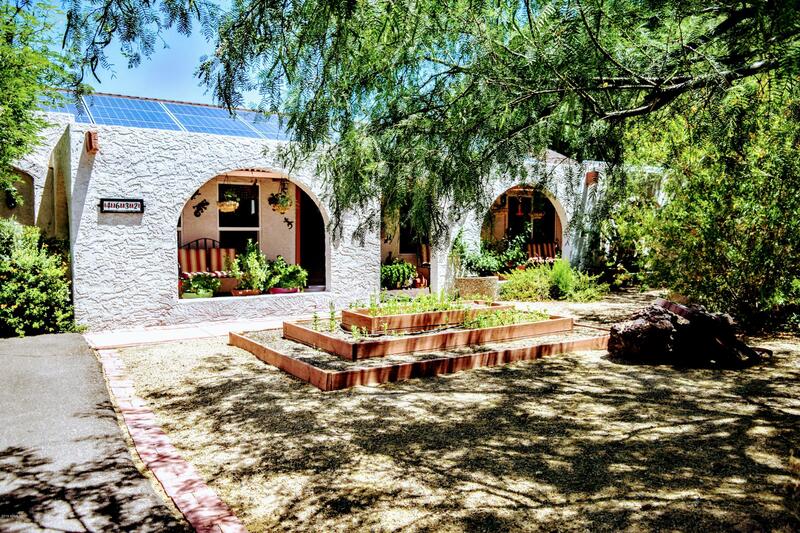 THIS CAN BE YOUR OASIS IN THE DESERT! LARGE EAT-IN KITCHEN WITH ISLAND, BREAKFAST BAR, WALK IN PANTRY AND PLENTY OF CABINETS. FORMAL DINNING WITH FIREPLACE, HUGE GAME/BONUS ROOM. CUSTOM PAINT AND FLOORING THROUGHOUT. GREAT HOME FOR ENTERTAINING AND GATHERINGS. MASTER BEDROOM WITH BALCONY AND GREAT VIEW OF THE MOUNTAIN WITH HIS & HER CLOSETS, SEPARATE SHOWER AND JETTED TUB. THERE IS ALSO A LARGE DOWNSTAIRS DEN. E"
"Beautiful custom built home with designer touches throughout! Grand feeling, high ceilings, large open windows, makes for bright living room with gourmet kitchen overlooking amazing sliding arcadia glass wall to gorgeous pool & spa with waterfall. Perfect for families and entertaining! Large covered patio, play & BBQ areas & firepit too!. Feels and looks special in every way. Split floorplan with master suite, perfect den, media room & another bedroom with full bath on one side and additional 2"
"Uniquely beautiful SW 'Santa Fe' inspired CUSTOM HOME in desirable 'Saddleback Estates', situated on sprawling corner lot w breath-taking Mntn Views. Awe-inspiring attention to detail. 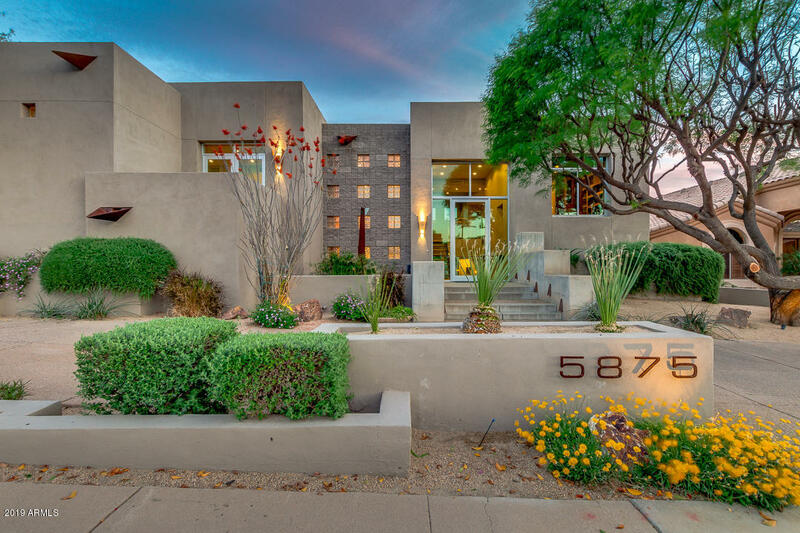 5 bdrm, 4.5 bath (3.5 in main), Grt Rm split-level flrpln w high Latilla & Vega beam ceilings, posts & rails inside & out, Saltillo, Hardwood flrs, western cedar wood doors, & picture window views. Walk-out windowed basement Rec/Media Rm w wet/bar. 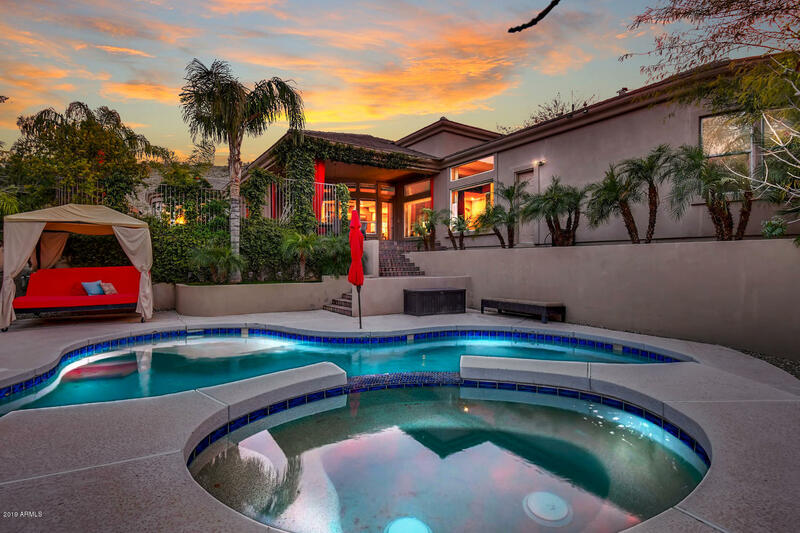 Ideal AZ Resort Bckyrd w Pool/Spa & Rock waterfall, outdoor Kitch"
"**WE HAVE AN APPRAISAL** NO HOA! !Main home 4,000sf. 4bdrm, 3-Full Bath custom flooring with new carpet and paint. Chefs Kitchen has granite counters, island with breakfast bar, and eat in kitchen area. Beautiful stained wood doors, trim & shutters throughout. Cozy brick wood fireplace in FR and MB. Game Room/Bar for fun! 1,800sf Guest House has full kitchen with black appliances, custom cabinets, Great Room, 2-bedrooms and front office. Balconies overlooking lush landscaping. HUGE 3,500sf 400-a"
"With QUALITY CONSTRUCTION AND DESIGN throughout, this meticulously maintained custom-built home boasts more than 4000 sq ft in a single level, split floor plan. 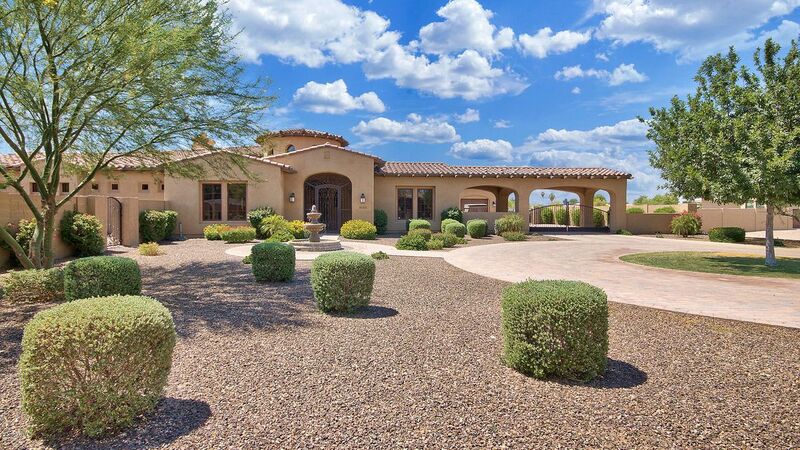 Located in North Glendale on 1.25 acres, with no HOA, the home is zoned as horse property. 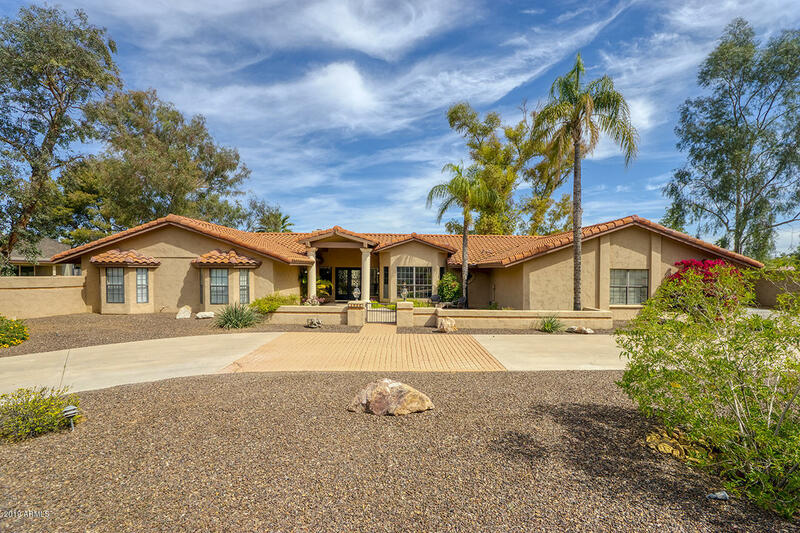 This home and property offer INCREDIBLE VERSATILITY including: indoor and outdoor entertaining; separate-entrance casita or office; and massive (2400 sq. ft.) detached building for workshops, ATVs, boats, cars, studios, hobbies and storage. This ho"
"Currently operating as achurch, but could be usedas a great assisted livingfacility, event center, or aschool instead. 3 Buildings over 8,000 SF Building A2 Bathrooms1 Kitchen Building B3 Bathrooms Building C3 Bathrooms2 with shower1/2 Kitchen Recently paved parking lot Convenient to the 101 At the end of a cul-de-sac"
"La belle maison... Masterful design and modern luxury are uniquely embodied in this mountainside custom residence. Warm spaces that welcome are combined with a professional designer flair. Here you'll find an expansive grand kitchen overlooking the great room flanked with stone fireplace and picture perfect breakfast nook with mountain and wild flower views. There's a massive built-in entertainment center with stone fireplace and wired for pre wired for surround sound. This split floor plan has "
"The Best home in Arrowhead! Who hasn't driven by this property and wished that it wasn't their home! Very recognizable and unique contemporary style property that was built for the current owners and has never been offered for sale till now! This is a must see for buyers who want all the conveniences and upgrades of a true custom built home! 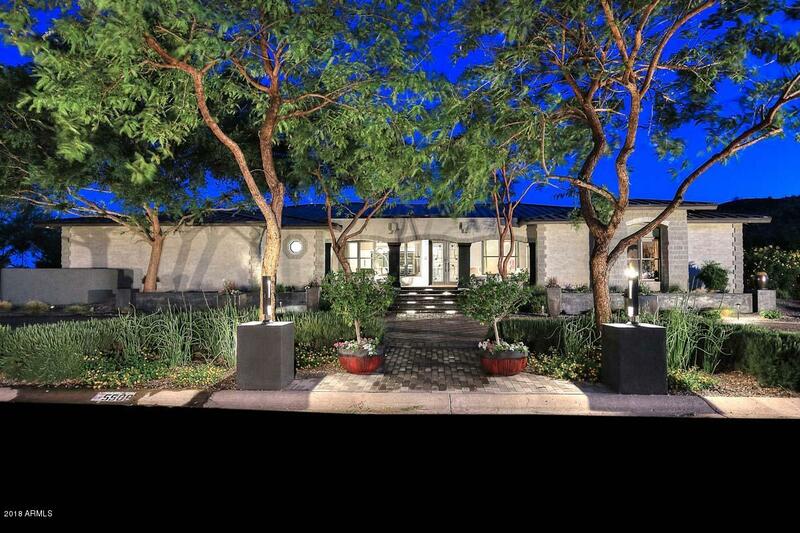 This property was carefully thought out and designed by the owners ,their architect and interior designer over a couple year period and placed on the 15th"
"A Car Collector, or multi-generational family, or a care home loaded with uniqueness of this hidden gem in very popular Sunburst Farms West. Spanning almost an acre, the original 2062 sf home was custom built in 1992(newer than most in Sunburst Farms); the additional 3494 sf was built by contractor/owner between 2003-2005. All new construction is Environmental, Budget and Climate friendly including a 188 panel solar electric system. 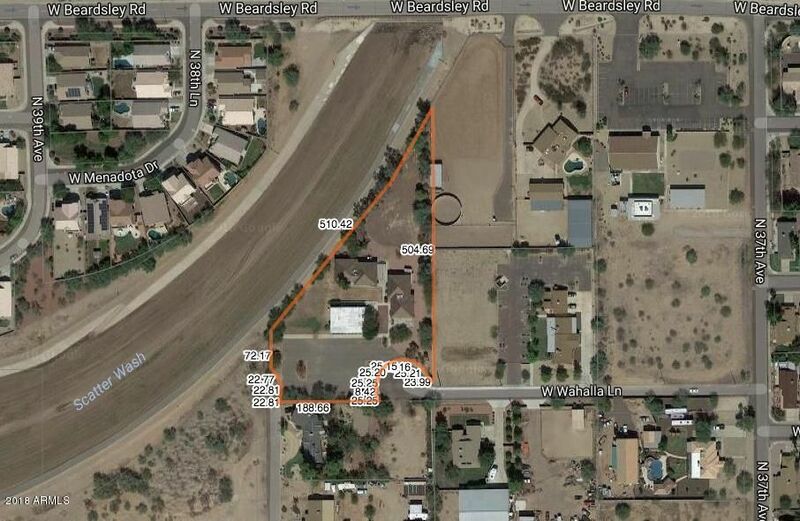 Quiet and well-established ranch style irrigated neighborhood ("
"HUGE horse property in Glendale! This beauty sits on an acre of land & features over 4500 sf plus a 1400 sf guest house PLUS a 30x30 WORKSHOP ! Enter to an exceptional open layout with tile flooring, formal dining/living areas, family area w/fireplace, and den w/french doors & hardwood flooring. Fabulous kitchen showcases SS appliances, staggered cabinets w/crown molding, island w breakfast bar, & granite countertops. Mstr retreat has sitting area, lavish bath w/his & hers sinks, french doors to"
"The phenomenal views from this home will take your breath way; this home sits on one of the largest lakes in Arrowhead Lakes. The home has been completely remodeled complete with gourmet kitchen and upgraded flooring. The baths have all been updated with high end fixtures. The wall was removed from the former formal living spaces and opens to a great living space. Nice large swimming pool overlooking the wide mouth lake with gazebo for resort style living; Incredible mountain views from the f"
"**OVER 1 ACRE IN Prime Location located in a huge Cul-de-Sac*Could have horses on the property*Zoned for Horses*Outside has a 15x15 Workshop/Tool Shed with electric and water * 15x15 Carport* 10 foot deep pool* Built in BBQ* Home Features 4 Bedrooms* 3 Bathrooms* Formal Dining Room*Family Room/Fireplace and Living Room*Large Master Bedroom with sitting area with Fireplace the room also has a separate room that could be a gym/library or office* Master Bathroom features a Large Jacuzzi Tub*Large s"